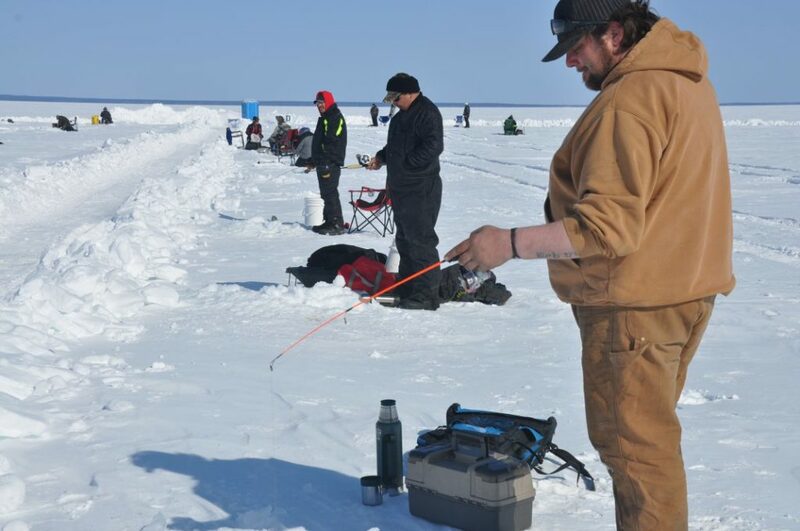 The annual Bill Bannock Ice Fishing Derby on Clearwater Lake is less than a week away. 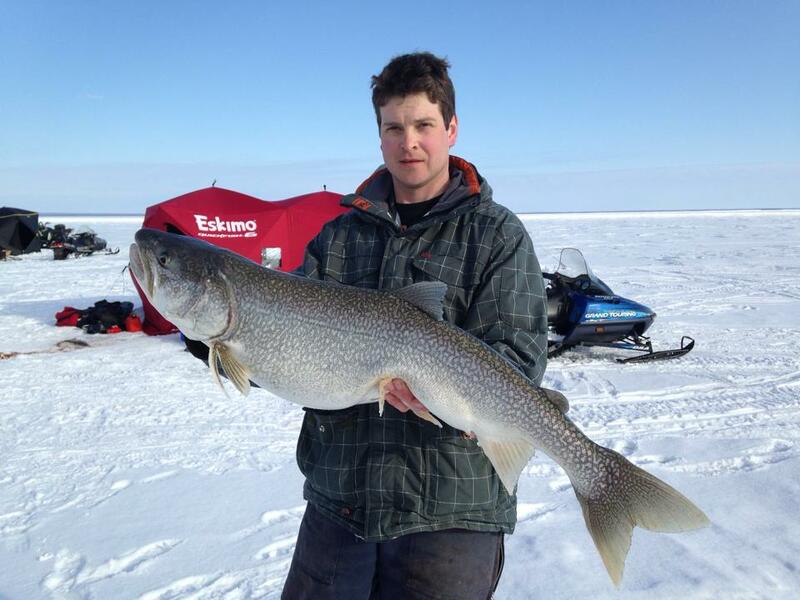 This popular Northern Manitoba competition challenges anglers to see who can ice the longest lake trout. A top prize of $25,000 is enough to draw hopeful participants from all over the province and neighbouring Saskatchewan to try their luck at winning first place. This Saturday April 6, hundreds of anglers will converge on Clearwater Lake at the Pumphouse Point. The unique wheel spoke style derby grid is set up over a community hole shelf ranging from 30 to 40 feet deep under the ice. 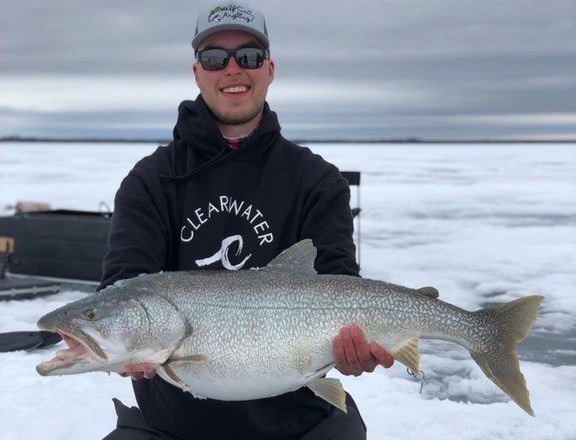 As mentioned earlier, lake trout are the target species here and Clearwater Lake is famous for being home to some of the biggest ones in Manitoba. The first three prize places will pay out $25,000, $12,500, and $7,500 respectively with thousands more in cash and prizes also to be awarded. The Top 27 places took home a prize in 2018. There is also a ‘Lonesome Mary’ category that is worth $25,000 to the angler who catches a tagged fish. Tickets are $100 and can be purchased online at Bill Bannock Tickets or in person at Pete’s Pro Tackle in The Pas. Derby competition hours run from 10:30am to 2:00pm. The 25th annual Bill Bannock Classic Ice Fishing Derby is organized by the Rotary Club of The Pas. All proceeds from this enjoyable and well attended derby are donated to local charities. 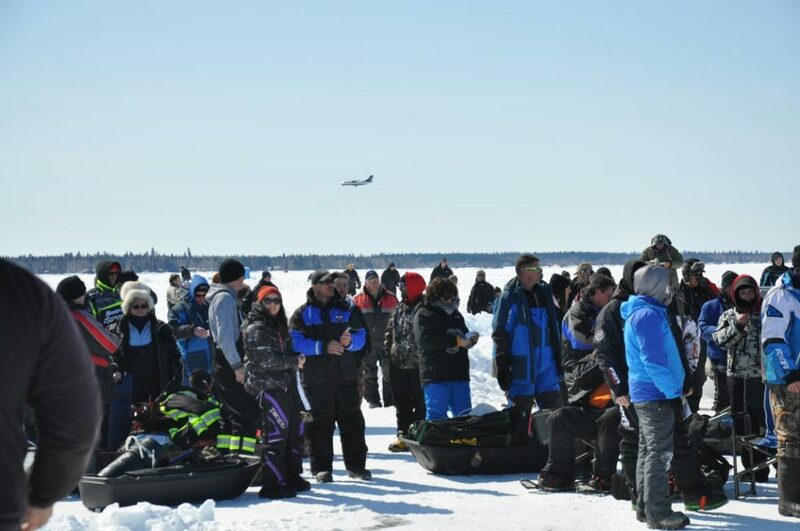 The Flinty Ice Fishing Derby takes place the very next day on April 7th, 2018 out of Baker’s Narrows on Lake Athapap. There are incentives and prizes available for competing at both events. 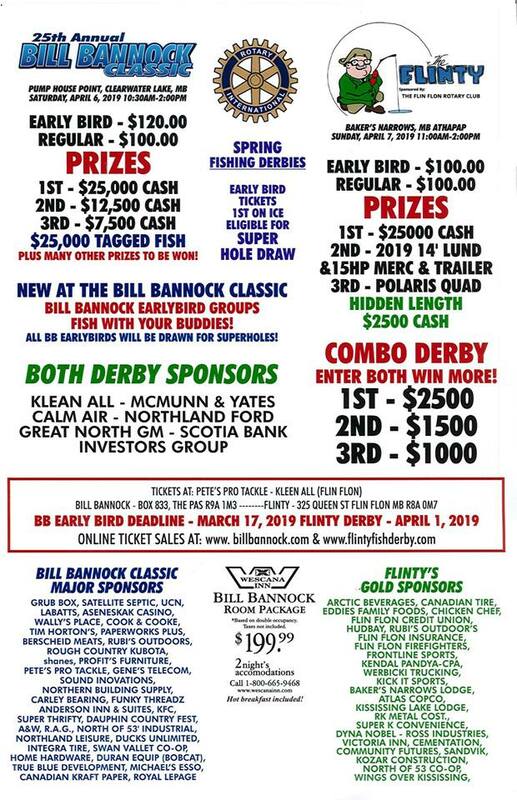 For more information go to Bill Bannock Classic Ice Fishing Derby.